Today (Wednesday 11 January) the Welsh Government has announced they will be introducing a new test to their screening programme. 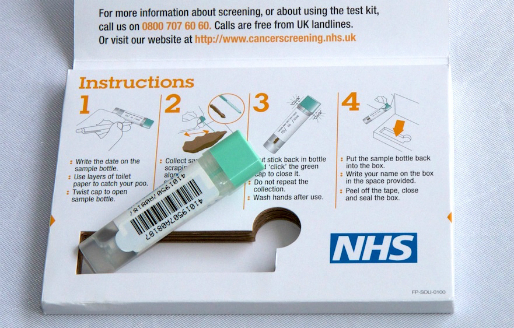 "The announcement of the introduction of the faecal immunochemical test (FIT) into the bowel cancer screening programme in Wales is excellent news and an important step forwards in saving more lives from bowel cancer. We know that screening plays a crucial role in diagnosing bowel cancer early, when it is more treatable and curable. However screening uptake has been historically low in Wales, with an average uptake of around 54.4% and in some areas it’s as low as 37.9%. Pilots in England have shown that the introduction of FIT could increase screening uptake by around 10% overall, including people who previously haven't take part and those from the most and least deprived population groups. This is because it is easier to complete the test with only one sample required. FIT is also more accurate than the current faecal occult blood test used in the screening programme so we would expect more cancers to be detected depending upon the sensitivity set. Ultimately the success of FIT rests not simply on increasing uptake but on having sufficient endoscopy capacity to deliver it optimally at a more sensitive level than the current test so more people have the chance of an early diagnosis. Clearly it will not be possible to increase endoscopy capacity overnight but we would urge the Welsh Government to make increasing capacity a priority when considering how to roll out FIT. We look forward to continuing to work with Public Health Wales and Bowel Cancer Screening Wales to support implementation."